Real Estate Empire is now moved back to www.RealEstateEmpire.net which is where the link below now takes you. House Flip! is still being tuned on a regular basis but I'd love to get feedback from the folks who are playing it! Big news! I've been quiet lately because I've been building a new game for you and... migrating to a new dedicated server! Long story short a dedicated server company that had performed like a champ for several years started letting me down this year so I'm trying a new company. This site is currently on the new server so lemme know if something goes down! It's not the simulator, that's going to be coming this Fall. This is another real estate game that gives you a limited number of actions and allows you to earn more actions by performing in game tasks. Same level of strategy as Real Estate Empire Classic with some twists. This release is a first playable but I'm already quite pleased with how it plays and I hope you will be too! It's another Real Estate Empire game with the sub-title of House Flip, I hope you like it! I've posted a new release that solves the Facebook log in issue and which also includes the alpha test version of a new game! The new game is Real Estate Empire Deck which is a digital verison of a card game that I am making available to realtors as a swag item for them to give to clients! Hi all, it's been awhile. I know, the Facebook log in thing is messed up - other dev's are complaining also. I'll figure out something on that front but first I just need to finish what I've been up to which is... (those dots are a drum roll) a new Real Estate Empire game! Real Estate Empire Deck will be out in alpha form sometime in the next week or so! 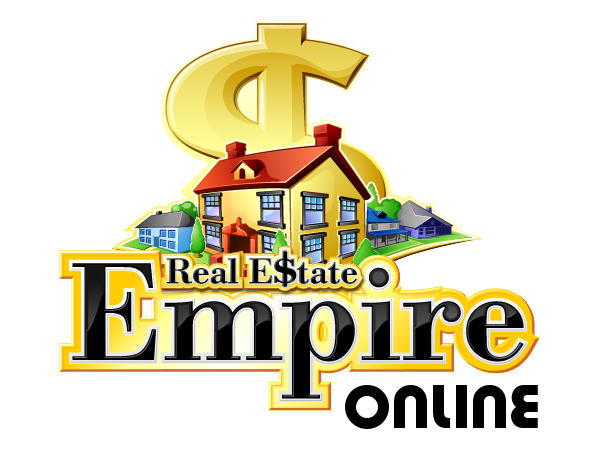 I've just uploaded an experimental new version of Real Estate Empire Online. You can still play the old version of the game by clicking Play or choose the Work In Progress version by selecting WIP! Play for free at www.RealEstateEmpire.net! Buy, manage and sell real estate for profit! Collect Loot Reward coins to get great prizes!